Tanja Askani was born an animal lover and shared that love with her father as she grew up in Czechoslovakia. Her father taught her how to care for abandoned and sick animals and together they would find new homes for them. Animals were always a big part of her home life. It was from these beginnings that she also developed a love of photographing animals also, both domestic and wildlife. Unlike their cousins - dogs - these animals are instinctively wild, with a strict code of conduct based on hierarchy within their pack. There is one line of rank for males and one for females. The alpha male and female lead their packs. Second in command is the beta male or female. At the bottom is the omega wolf - a scapegoat. Although there are leaders and weaklings, it is not always survival of the fittest. It is always the hungriest that gets to eat first, not necessarily the biggest. Working together, they ensure each member has a role to play and none are neglected. Contrary to popular belief, wild wolves are not dangerous. 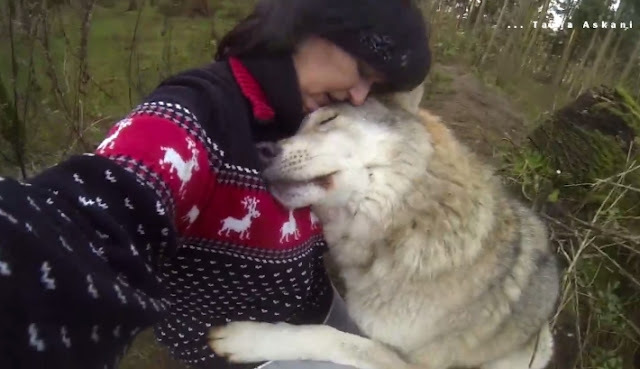 Responses to "Amazing Moment Gray Wolf Greets A Wildlife Photographer With Kisses And Cuddles "
Amazing. Shared on my Facebook page. 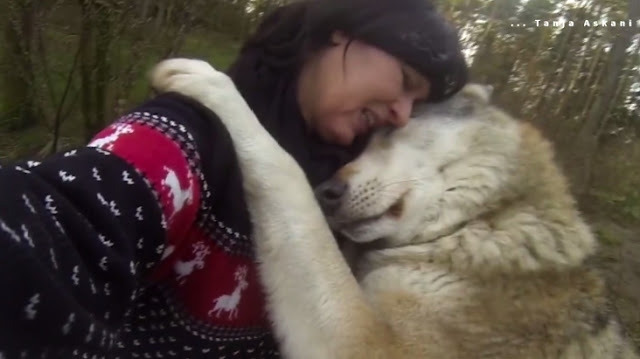 Stunning, just like a husky does when it loves its human. Made me get a lump in my throat. Such Love is truly astounding! O.M.G. I Envy That Moment. What A Thrill That Would Be.